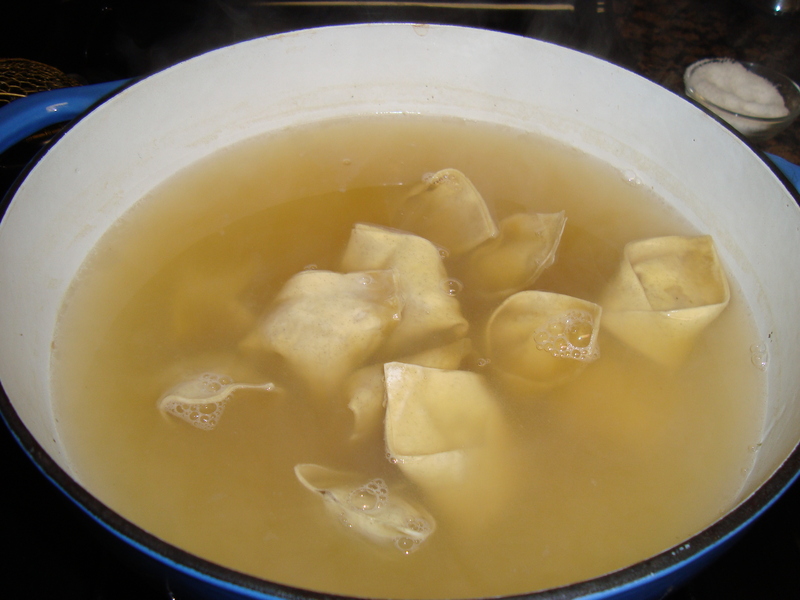 Since it’s cold and wet outside, and the doggies won’t leave their blankets, I thought I’d make wonton soup for lunch. It’s really fast and warming on a cold day. I had already made pork and crab wontons from the Steamy Kitchen cookbook, so those were ready and waiting in my freezer. You could also use frozen wontons. Heat chicken broth with a few dried shitake mushrooms, garlic, ginger, and fish sauce, to give the broth an Asian flavor. Let it simmer for about 20 minutes, so that the flavors infuse into the broth. 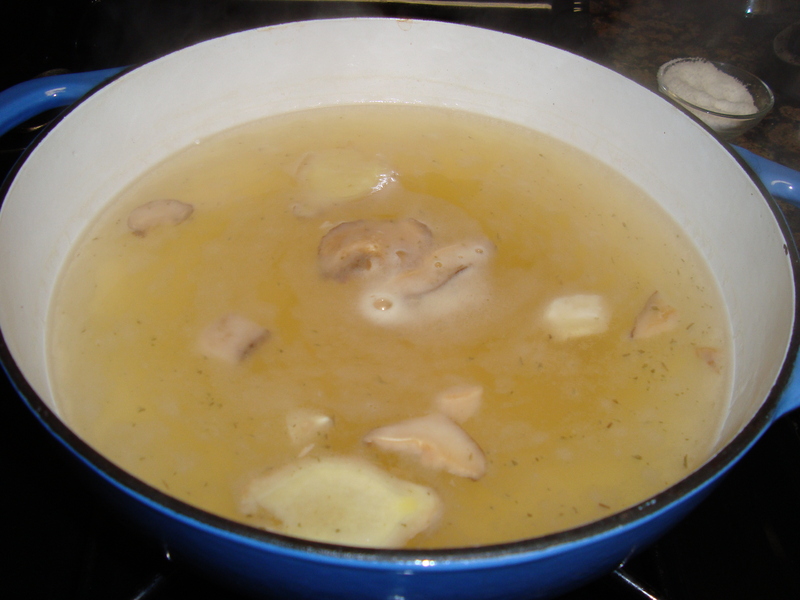 Simmer the wontons until the float to the top. Remove them from the broth using a slotted spoon. 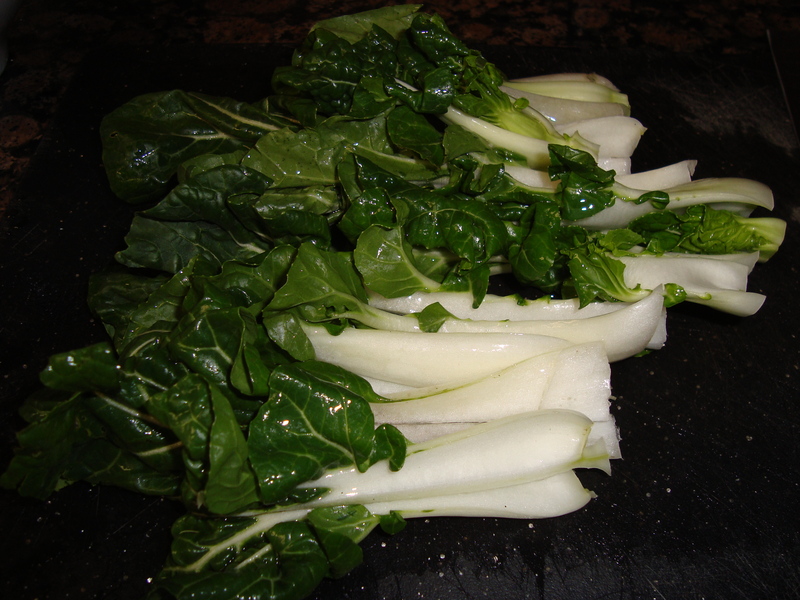 Slice up some baby bok choy. 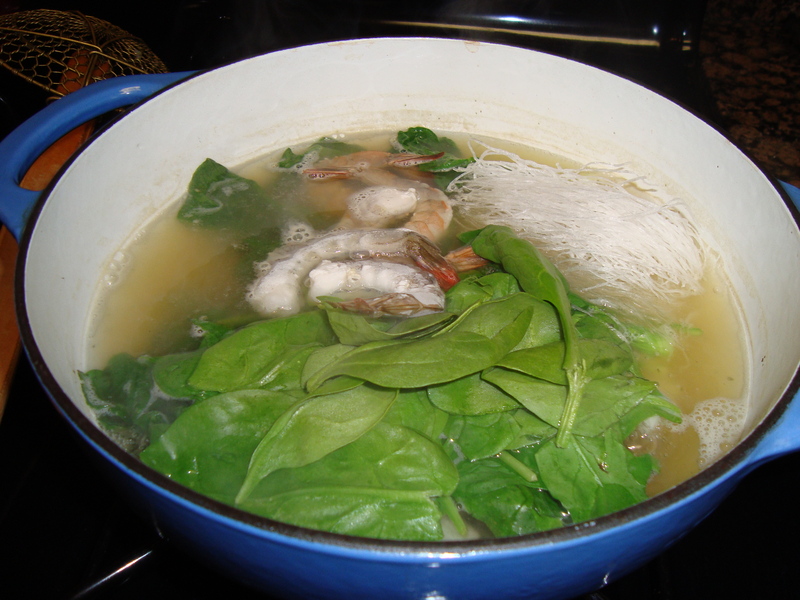 Add it to the broth, along with spinach (because I throw spinach into everything), glass noodles, and a few frozen shrimp. You could add any other ingredients that you like here–mushrooms, tofu, frozen peas, etc. 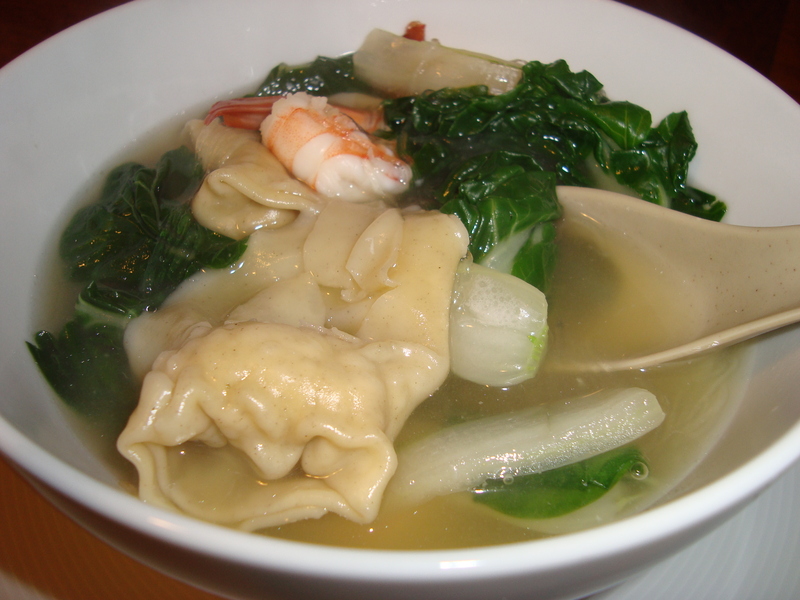 Once the noodles are rehydrated and the veggies and shrimp are cooked, ladle the soup over the wontons. Ta-da! Perfect for a cold day.